Everyone who is familiar with the construction of global structures uses WorldEdit PE. 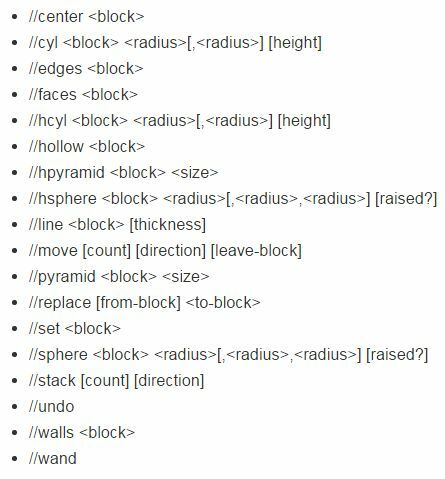 Thanks to it, any player can build in a few seconds absolutely any geometric shape as a template for the following buildings. Moreover, there are many other very useful commands using which you can copy and paste areas, change blocks in the selected area, to clean large areas, and it is not all the features. How to use the WorldEdit? First, if you use this mod for the first time, then type the help command. This will display all the available commands and a short description of the correct use. Once you become familiar with it, you can proceed directly to the process of construction or editing. The wand is the main tool. It allows you to choose the border area for editing. Perhaps you have heard about these tools, the basic concept is not different from plugins or addons for Minecraft PE. Once you have chosen the area, take a stick and specify two points on a diagonal. These points are the main factor determining the area of a selected area. Enter any command from the list and see the result. So it is possible to change all the selected blocks to any other ones, or delete the zone completely. In fact, the World Edit PE replaces the long working hours, allowing you to create unimaginable structures within seconds. 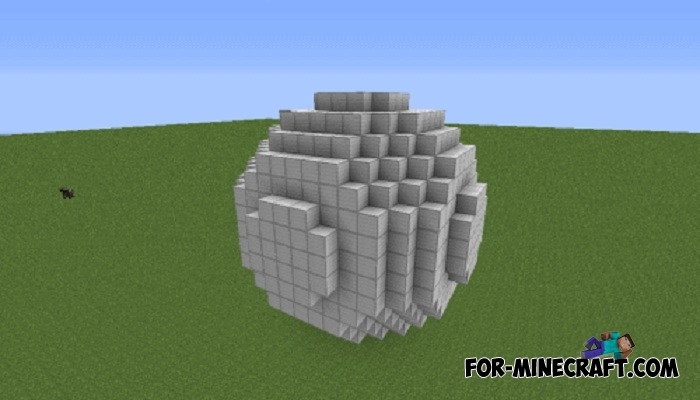 This tool has been created for Minecraft PC, but was later ported to the Pocket Edition. Also, there is a special plugin for MCPE servers, using it you will have the same feature set. Operating principle is no different, except that only administrators can use commands. Remember, the cancel command cancels the last action performed, so do not rush to reinstall the world, all errors can be corrected by typing this command. The mod can be installed using BlockLauncher, and it only works with. The list of commands is below, read it before writing a negative opinion. Upd. The selected area is not marked, so arrange the points carefully. You need BlockLauncher to install it. Start BL and click on the wrench. ModPE -> select the .js file -> start your world. Can you please add in a command to let you rotate a selected area? For example, if I copied a build that looked like "!?" But wanted to paste "??". I don't know if there's an existing command for this but I looked through the list and it doesn't look like it, so I was just wondering. Drat. It won't show up. Just.. if I had a house facing north, then I wanted to make an exact copy of that house but facing west. Is that possible already? If not could you please add it?